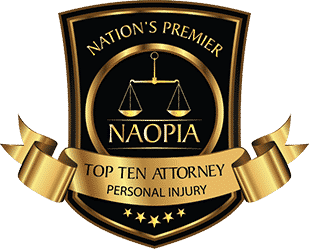 Have you been seriously hurt in an accident in NJ? Have you suffered a serious injury? 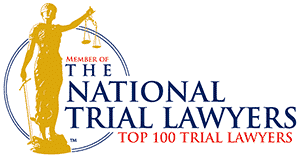 Were you in a car accident, slip and fall, or suffer as the result of medical malpractice? Whatever your accident or injury involved. From Bedminster to Franklin, Plainfield to Hillsborough, Somerset County is home to over 500,000 diverse men, women, and children. When something bad happens to one of these hard-working residents, our NJ personal injury attorneys stand ready to defend their rights. Aiello, Harris, Marth, Tunnero, and Schiffman, P.C. is not your average New Jersey injury law firm. We are a team of top-notch, dedicated family men and women. We treat our clients as members of our own family. Our injury lawyers get to know each person who comes through our door on a personal level so we can give you the best service possible. Our attorneys know the value of a dollar and fight to get you every penny you deserve. What is your Somerset County personal injury case worth? The amount you receive in a Somerset County personal injury case depends on a few major factors, such as the extent of your injuries and how much property damage you incurred. • Medical expenses – reimbursement for hospital bills, doctors’ visits, medication, medical devices, and all other health expenses relating to your injury. • Lost wages – compensation for past, present, and future lost income due to your injuries. • Property damage – money for anything that was damaged in the accident, such as a vehicle, clothing, or other personal property. • Pain and suffering – a non-economic award to compensate you for the emotional and physical pain you endured. • Emotional distress – money for the turmoil that accompanied your accident. • Loss of enjoyment of life – when your injuries prevent you from enjoying activities you once loved and interfere with your personal relationships, you might be able to collect compensation. • Punitive damages – serious cases might warrant punitive damages, which is additional compensation added to your award, intended to prevent further wrongdoing from the negligent party. Schedule a free initial consultation with one of our Somerset County attorneys to learn more. We cannot make any guarantees, but we can offer an estimate of what your case may be worth. Car Accidents – From front-end crashes to sideswipes, our car accident attorneys handle any type of collision. Motor Vehicle Accidents. Legal counsel can assist you if you were hurt in a crash involving a car, truck, commercial vehicle, bus, ATV, or other types of motor vehicle. 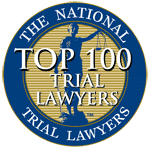 Accidents and Injuries – Did you suffer a spinal injury? Broken bones? An infection? From mild to life-threatening, our attorneys can help with a variety of accidents and injuries. Dog Bites – Vicious dogs can leave permanent injuries. Our lawyers fight to recover compensation from the owner. Slip and Fall Accidents – When dangerous conditions lead to severe injuries, our legal professionals seek compensation from negligent property owners and entities. Premises Liability – If you have been injured on someone else’s property, we employ every tool in our legal power to recover damages. Medical Malpractice – You trusted your doctor, now it’s time to trust us. When a medical professional fails to deliver proper treatment, making your illness or injuries worse, we step in to fight back. Products Liability – Defective products, including car parts, baby items, and kids’ toys, can cause severe injuries. Our products liability lawyers help you hold the liable party accountable. Social Security Disability – Folks who are unable to work due to a disability may qualify for Social Security Disability benefits. Ensure you get the money you need with our help. Supplemental Security Income – Disabled individuals who do not qualify for SSD may be entitled to Supplemental Security Income (SSI). Allow our disability team to determine if you are qualified. Workers’ Compensation – Hurt on the job? We can help you get the workers’ compensation benefits you need from even the trickiest insurance companies and employers. Claims Against the Government – Sometimes, a government entity – such as a municipal body – might be at fault for your accident. If a hazard condition on government property leads to your injuries, our personal injury lawyers are ready to take on Somerset County government bodies. Construction Accidents – Falls, equipment malfunctions, and other life-changing accidents happen every day on dangerous construction sites. Our construction accident lawyers go after all responsible parties – from your employer to the equipment manufacturer to any other party involved. Wrongful Death – While nothing can replace the loss of a loved one, we can help ease your financial burden after a family member died as a result of someone else’s negligence. Life happens. Good thing you have a backup. When your life becomes overwhelming and unmanageable because of the aftermath of injuries sustained in an accident, lean on the caring team of compassionate Somerset County personal injury lawyers at Aiello, Harris, Marth, Tunnero & Schiffman. One of the primary focuses of our accident and injury division is representing clients affected by brain and head injuries. Perhaps the most tragic trait of brain injuries is that their symptoms can remain latent for a period of time – sometimes a few days and in some cases, several years. Sometimes doctors do not even know a serious skull, brain, or head affliction exists until it is too late. The lawyers at Aiello, Harris, Marth, Tunnero & Schiffman do not just represent brain and head injury victims. 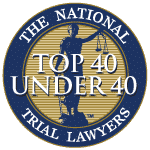 To learn more, contact the disability law firm of Aiello, Harris, Marth, Tunnero, and Schiffman, P.C. at our Watchung NJ Office. You can call us 24/7 at (908) 561-5577 or contact us online to set up your free initial consult. Our clients come from all over the state of NJ.